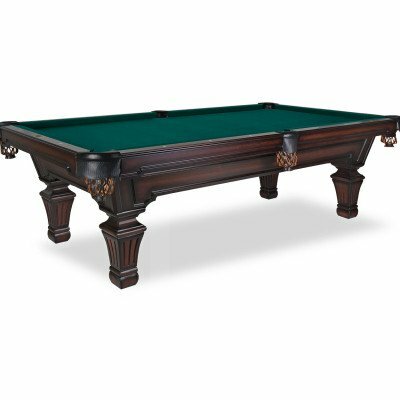 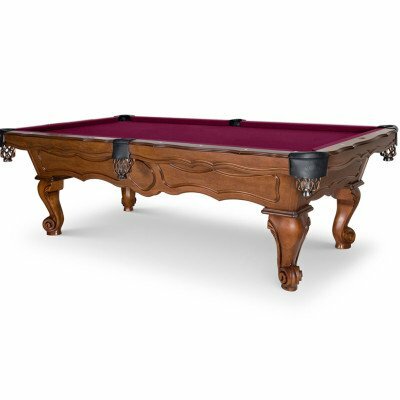 The Sahara Pool Table, is made in Portland, Tennessee by Olhausen Billiards. 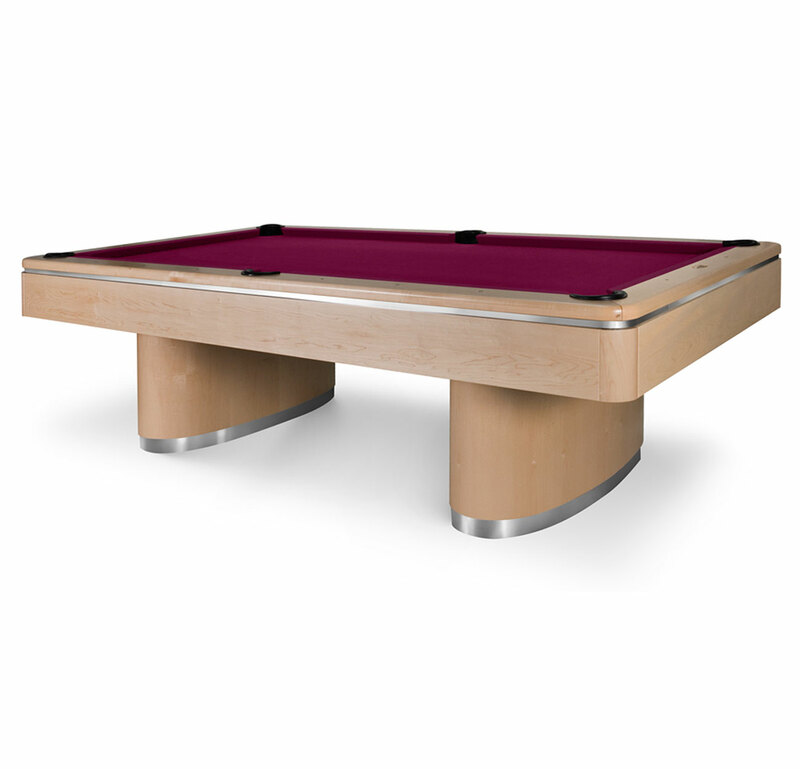 It is part of the Modern Series and comes with a virtual design with a modern look and narrower rails. 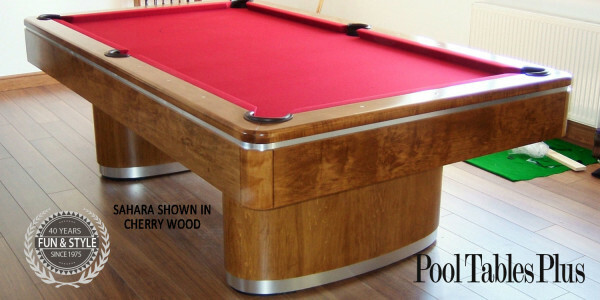 Modern Furniture has never been done so well. 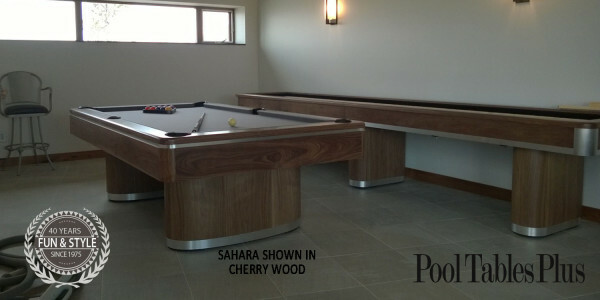 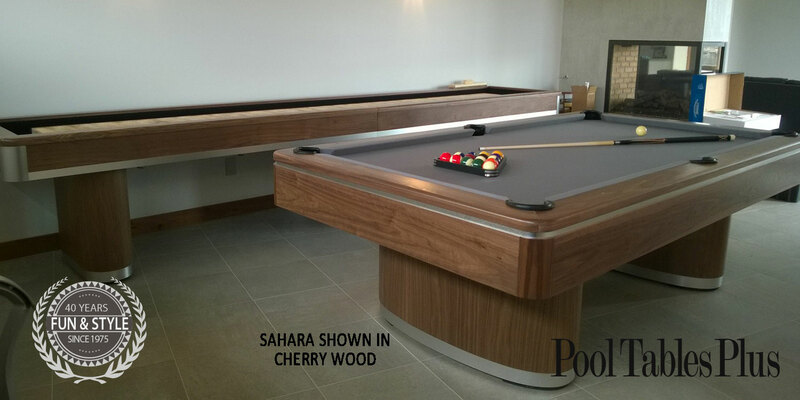 The Sahara Pool Table is made completely of American hardwood highlighted by chrome or brass. 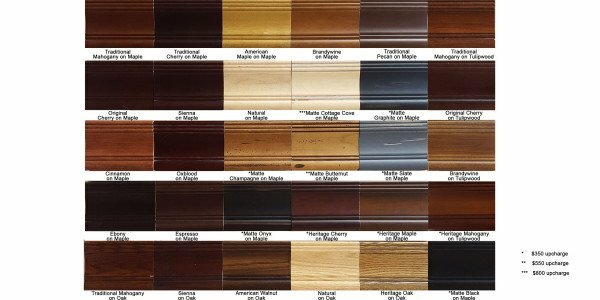 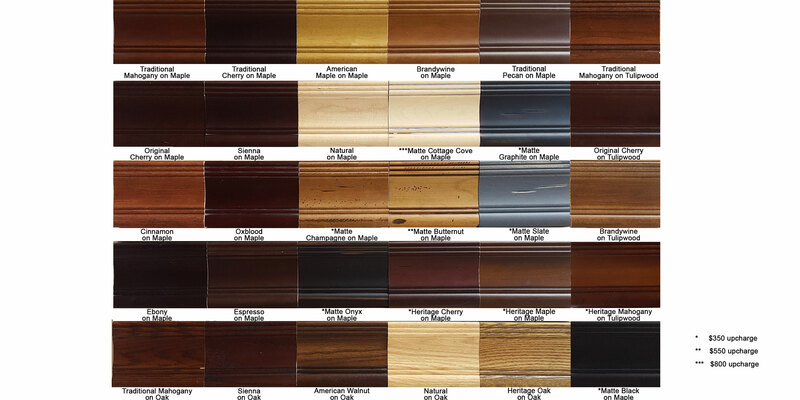 This table is available in many different standard finish options.